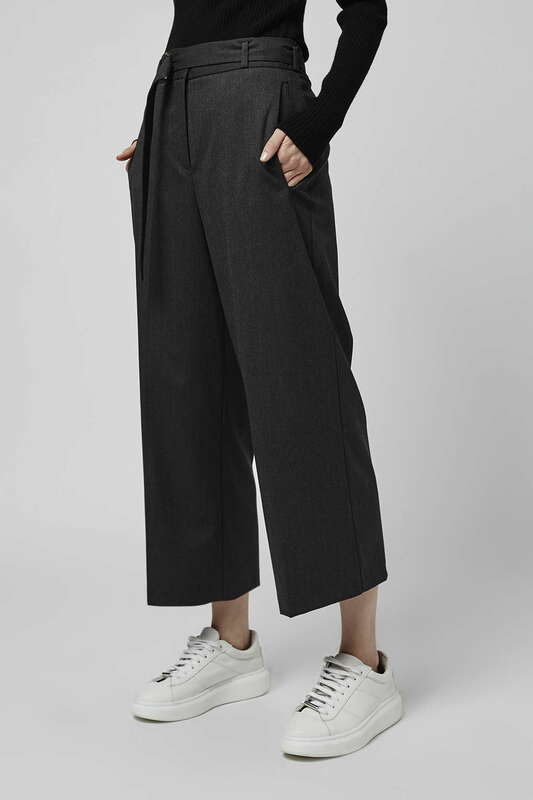 I’m a little bit more than excited that wide leg trousers are emerging again. I know they’re not everyone’s cup of cha, but having just watched Top Shop’s Autumn/Winter ’16 catwalk show, they are certainly staying around for next season too. Celebrity model Karlie Kloss was snapped in her grey version, aptly worn with a cropped, show the waistline, sweater. Zara do wide extremely well and these flowing (thankfully washable) palazzos look amazing as shown, or would take colour as a contrast for summery nights. Or their printed version, perfect for spring breaks or high summer with cool white t-shirts or light knitwear, and flats are always best. 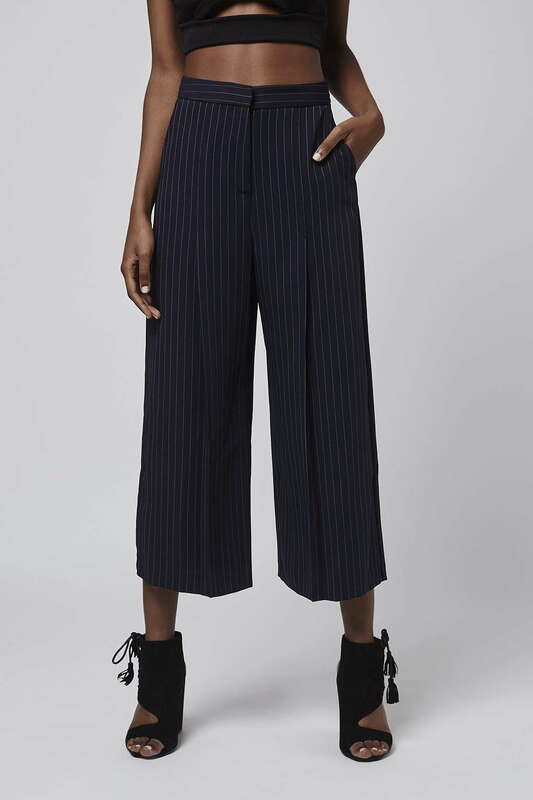 For a more tailored, moving towards the culotte look, Top Shop offer these versions, both £40, which can work with heels or chunky trainers too. Tuck in slim fitting tops and layer with crop jackets. My favourite wear of the moment are my Zara herringbone very wide palazzos. I definitely won’t be baring my midriff but the idea of short tops to show off the waist before the trouser explodes is the way to go. I wear my vintage Jaeger cropped jacket, for similar effect. A chunky trainer works to balance the wide hem line. Ps, yes its blurry as I certainly didn’t look like Ms Kloss! 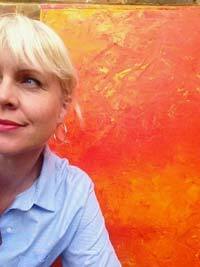 But happy enough in my own way.